It's Santa waving from the sleigh packed with toys. 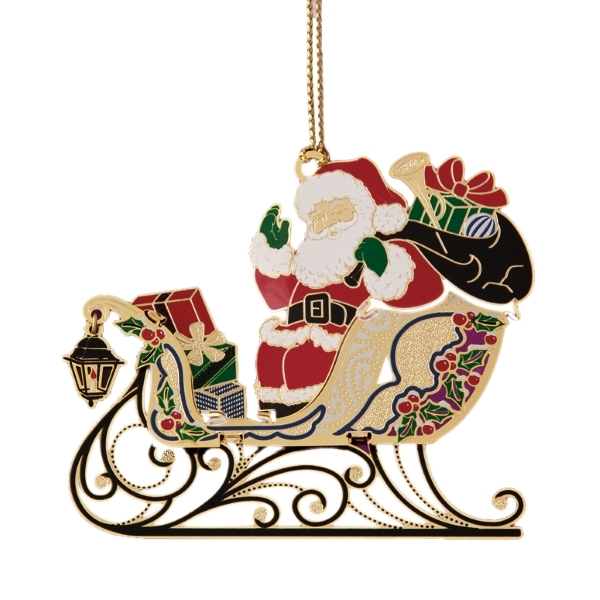 Handcrafted from brass and then hand painted with Christmas colors, this high quality ornament is outstanding. Packed in a velvet lined gift box, it will be a prized gift. Only 1 of these ornaments left!